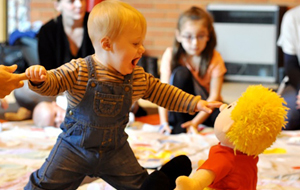 I have run Jo Jingles classes in Ascot, Bracknell and surrounding areas since 1997. I love music and dance and originally trained in classical ballet. In recent years I have performed in lots of musicals with a local amateur dramatic society. 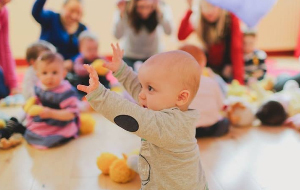 At Jo Jingles I am helped by my lovely teacher Bev and we believe that Jo Jingles classes are a fantastic, fun and educational way to introduce children to music. Classes are structured but the emphasis is on having fun - the children learn quicker this way! Sadly Bev has been in hospital recently so is not returning to Jo Jingles this term and consequently I will be running fewer classes. I do hope that you will still find a class that you can attend with your little one. Jo is the heart and soul of our classes. He is extremely friendly and actively participates in all that we do. At the start of each session he welcomes everyone with a smile and a wave although he is often 'kidnapped' by a little one for a hug and a kiss. He loves being part of our classes and he gets around quite a bit travelling to nurseries as well as parent attended classes. 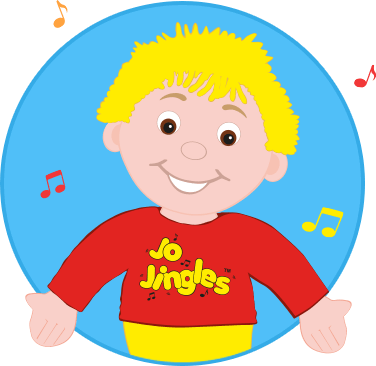 We hope that your little one loves Jo Jingles as much as we do! Hello, I’m Bev Boulton and I have been part of the Jo Jingles team since 2008. I previously worked in a nursery and enjoyed singing and dancing with the young children in my care. I have a passion for music and, at my classes, the emphasis is always on having fun in a safe, friendly environment. We play lots of different instruments and sing and dance to a variety of music. Come and join us and have fun with Jo! Fab class, my son loves it! Been since he was 4 months old and now is 4 yrs and still loves it. Jackie is a super teacher, best around! I think it's an amazing group. My daughter has come on in leaps and bounds being at this group and I will keep on attending it for as long as I can. 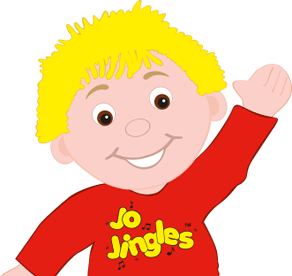 My daughter (18 months) LOVES Jo Jingles! She gets excited when I tell her we are going. 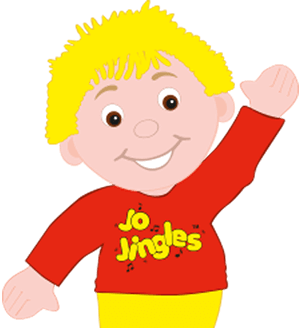 My daughter (18 months) LOVES Jo Jingles! She gets excited when I tell her we are going. We have been attending classes since she was 4 months old, and have now moved up to the walking to 2 years class. Both Bev and Jackie are great class leaders and have so much energy which the little ones love! I just wanted to say how wonderful Bev is. I have attended a few different classes with my daughter and Bev is by far the most energetic, engaging and friendly leader. Jo Jingles music events are always very popular at our libraries. Jackie has been doing events for us across the libraries for over 2 years. Jo Jingles music events are always very popular at our libraries. Jackie has been doing events for us across the libraries for over 2 years. 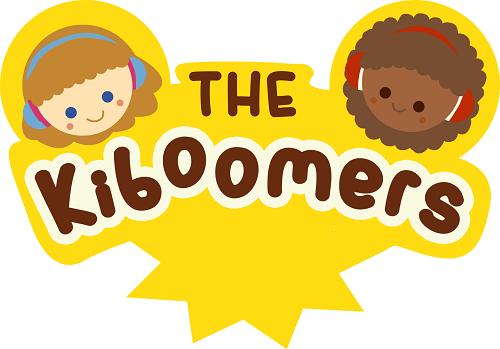 The events are great fun and active with a range of props, puppets and instruments. Favourite songs are Bob the Builder, Old MacDonald with a parachute and of course the bubble machine. The kids have a ball and the adults get a work out at the same time. The most recent event at Ascot library was a sport theme and included jumping monkeys, bicycle racing and even an egg and spoon race around the library! Just wanted to give some feedback regarding Jo Jingles held at Whoosh (Beverley is the teacher). Just wanted to give some feedback regarding Jo Jingles held at Whoosh (Beverley is the teacher). My son has just been there three times, but I am very pleased that he really likes it. Beverley is an excellent teacher. She makes everyone feel welcome, includes everyone whatever their age maybe and is full of energy throughout (love her shake shake and boogie woogie dance) and keeps the kids as well as parents (don’t know about others but definitely myself) involved and interested..and its good learning for them as well.. I wish I had brought my son earlier to Jo Jingles, but never mind better late than never..!! I have been taking my son Matty to Jackie Thornton's Ascot class, for the past 3 years and I feel very strongly about letting you know what our experience was like. I would like to say firstly, that having been an actress for many years, as well as a professional nanny, I have done more than my fair share of music and movement classes in the past 20+ years. Quite simply, I have never come across anyone like Jackie. From our initial phone conversation to an emotional goodbye yesterday (we can't make any remaining classes this term and Matty starts school in September) Jackie has been welcoming, smiley and upbeat in all the classes we have have attended, never once I have sensed she is having a bad day, never once has she been anything other than friendly and caring to the children (even when the majority of us would lose the plot!) and her ability to soldier on in the most trying of circumstances and distruptive of children is simply quite a brilliant skill. I believe Jackie's class is so much more than music and movement, it has been a focus for me in some weeks when all I wanted to do was sleep, a friendly face who you can rely on for a smile and a chance to spend some time with my growing boy in an environment where he is welcomed week after week with open arms. I can't put my finger on what makes Jackie special, she is an absolute gem and in my humble opinion, a massive credit to the Jo Jingles brand. ...and her ability to remember EVERY child's name in every class blows me away every session! I hope you treasure her. Receive the first 3 classes for £10. Receive the first 3 classes for £15.